MODERNISM - Love it? Hate it? With Modernism: A New Decade being released on 15th September and the surge in orders making it an Amazon Number 1 release, it was time to do a poll. Remember this is the rejected 1989 album and much slated since. 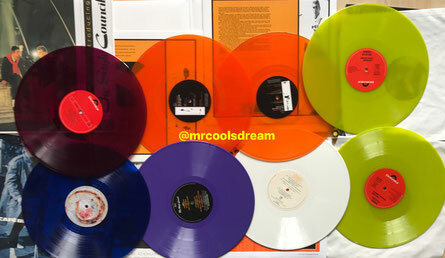 However, the colour vinyl series seems to have captured the attention of many people wouldn't have gone near it last year. MODERNISM vinyl out on Friday for the 1st time as a proper release & likely a sell out. Are you buying it just to complete the collection ..
Feel free to vote whilst it is still open, or if closed the result will appear below.